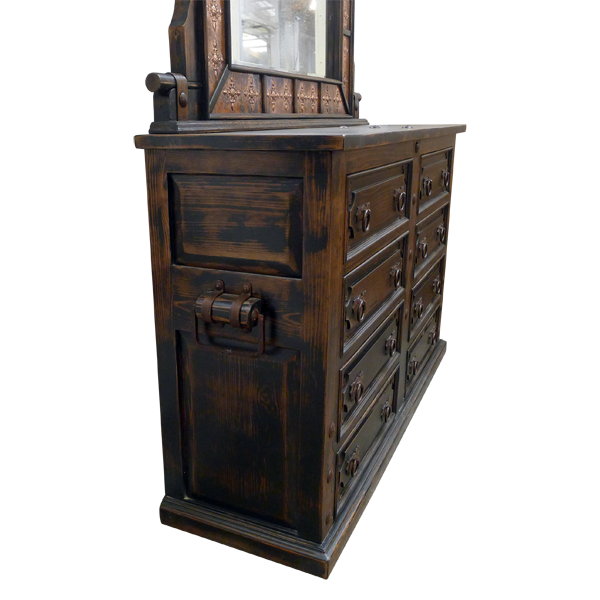 Complement the décor of your bedroom with this luxurious, handcrafted, Spanish colonial style dresser. 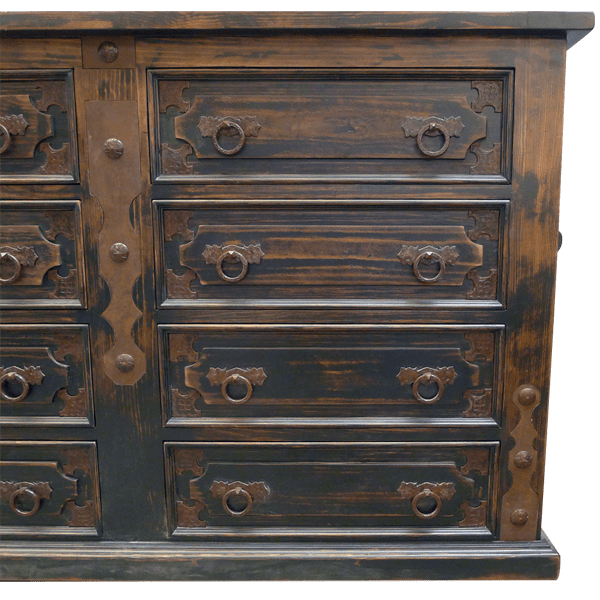 The dresser has a lovely, antique finish, and it features eight, large, spacious drawers, and each drawer has a geometric design and two, hand forged, iron, pull rings. The drawers are separated by a central divider, which is adorned by a hand forged, iron design with large, hand forged, iron nails. This design is repeated on each front, lower upright of the dresser. Each side of the dresser has a geometric cut panels with a hand forged iron handle in its center. The top and bottom rim of the dresser have classic, straight molding, and the dresser rest on a solid, wood molding base. The dresser is made with the best, sustainable, solid wood available. Resting on the top of the dresser is a spectacular, large mirror, with a frame made with gold finished, hand hammer and hand tooled, copper panels. 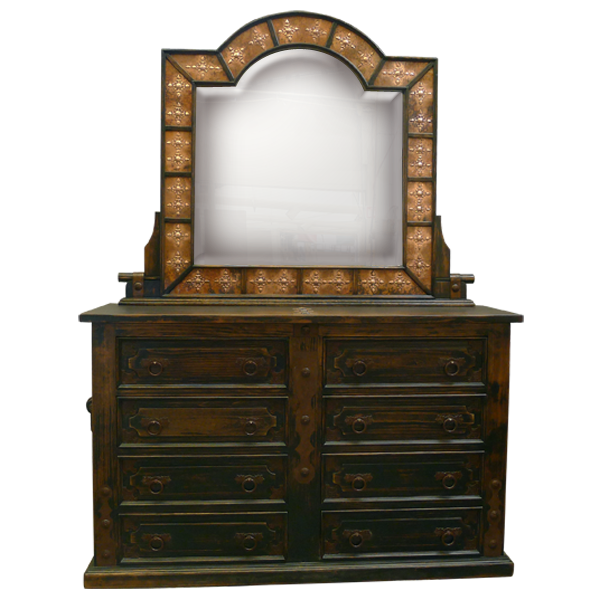 The copper frame has an arched top, and the entire mirror has hand tooled, ornate, Spanish colonial style cross designs, separated by hand forged iron. The dresser and the mirror are 100% customizable.